A wide expanse of sand found below an ancient Neolithic village, with views out towards the Atlantic Ocean. 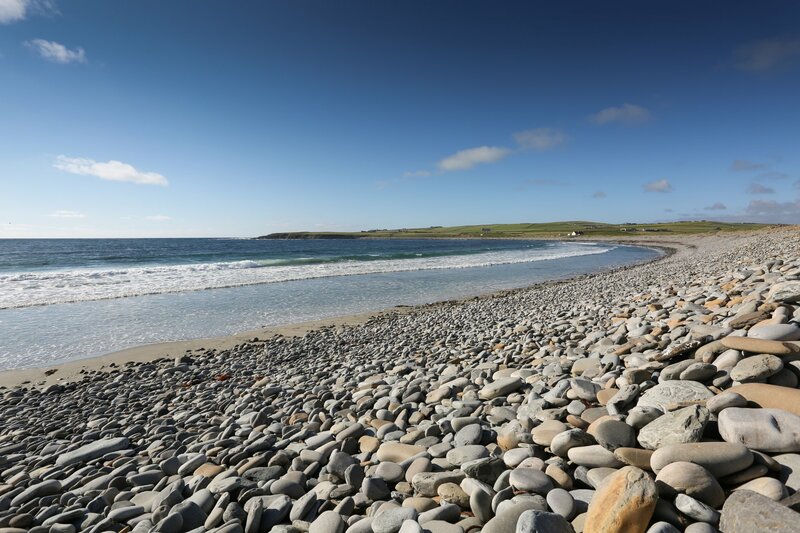 The Bay of Skaill offers an edge-of-the-world feeling! 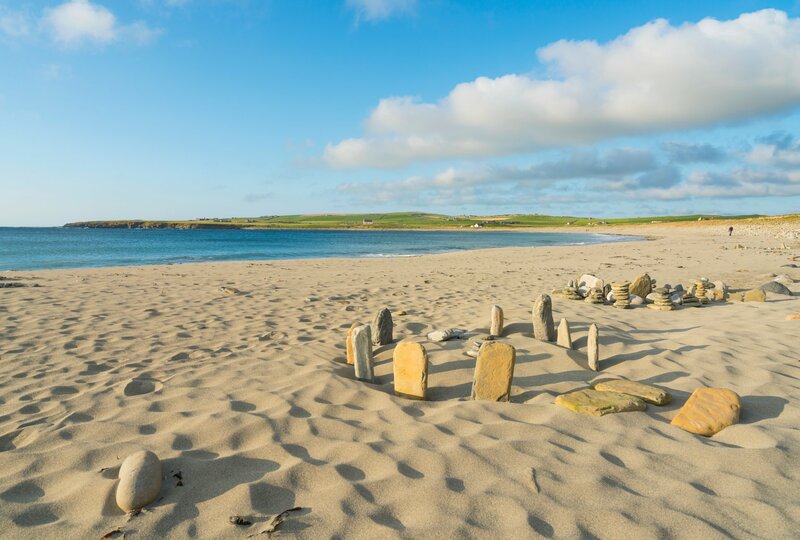 No trip to the 5000-year-old Skara Brae is complete with setting foot on the sand at the Bay of Skaill. When the tide is out, the beach can stretch for what feels like miles, and its position on the west coast means that it can be spectacular place after stormy weather hits the islands. Continue past the entrance to Skara Brae and you'll find a car park, with a public toilet across the road. Clamber over the boulders and you'll reach the beach, with its curving views north and south. 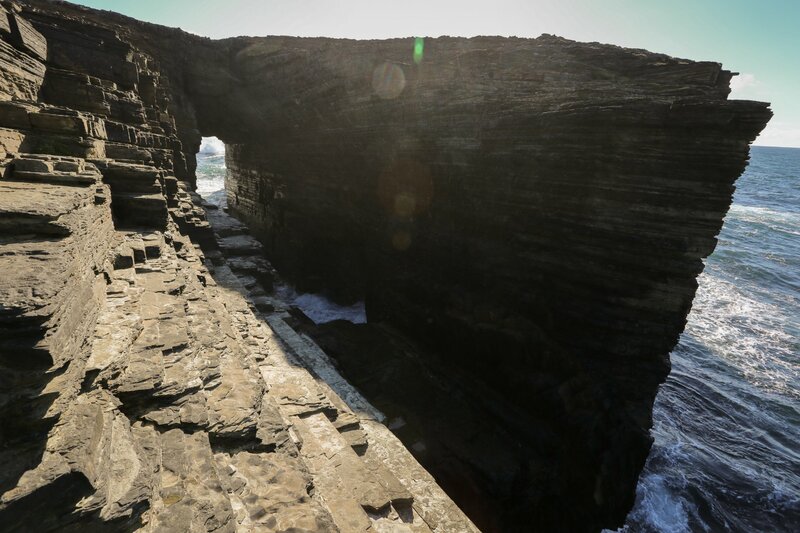 Keep your eye out for the Hole o'Rowe, a sea-worn hole in the cliffs, and local surfers on their boards in the bay - Skaill is a favourite for catching a wave or two. 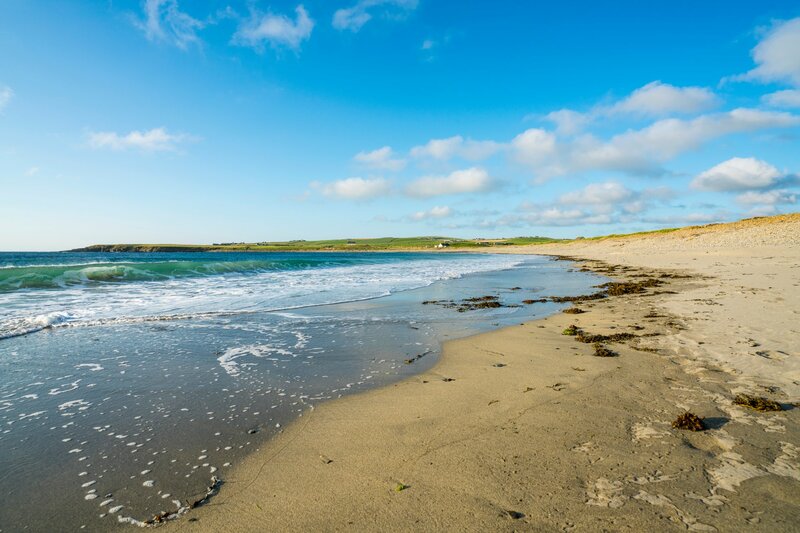 The Bay of Skaill is a favourite for both local and visitors. You'll often see folk walking their dogs or just breathing in the fresh sea air. Why not come and join them?